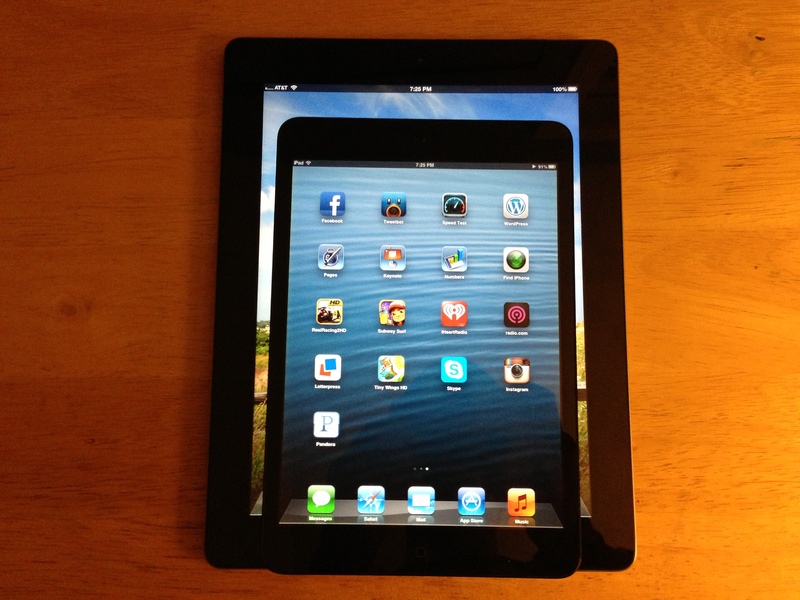 Apple has announced it will be offering a 128gb iPad 4 at $799 for the wifi model and $929 for wifi and cellular. The new models with upgraded storage will be available on February 5th in Black and White. 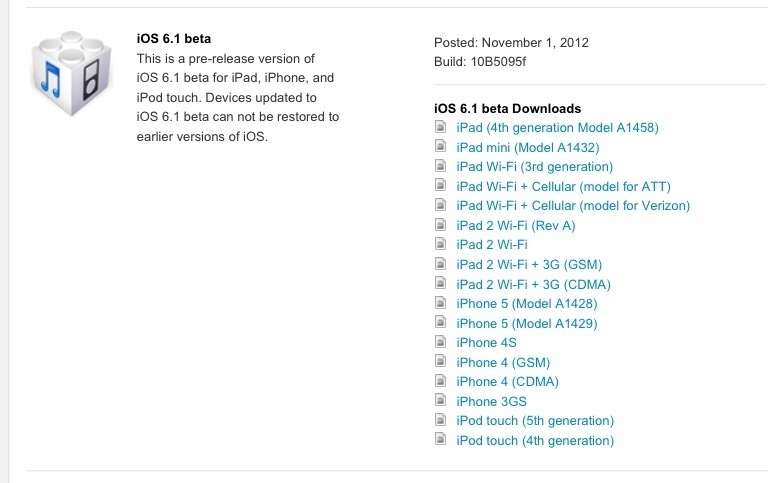 The iPad mini and iPad 4 went on sale today and with it Apple updated the iOS developer portal to include the new iPads with iOS 6.1. So go get downloading. This morning iMore gave us launch details for the iPhone and iPad mini launch and now iLounge gives us more information. 2 new iPhone cases will be released. The first will like the current bumper case and another will have additional features which may come after launch. iPod Touch will be released alongside the new iPhone like in the past with the same screen resolution. New Nano could be bigger. 7.85 iPad Mini with a new 19 pin dock connector and will ship in November just in time for the holidays. This follows many reports that Apple is working on Mini smart vases and Smart covers that resemble the current iPad screen size. 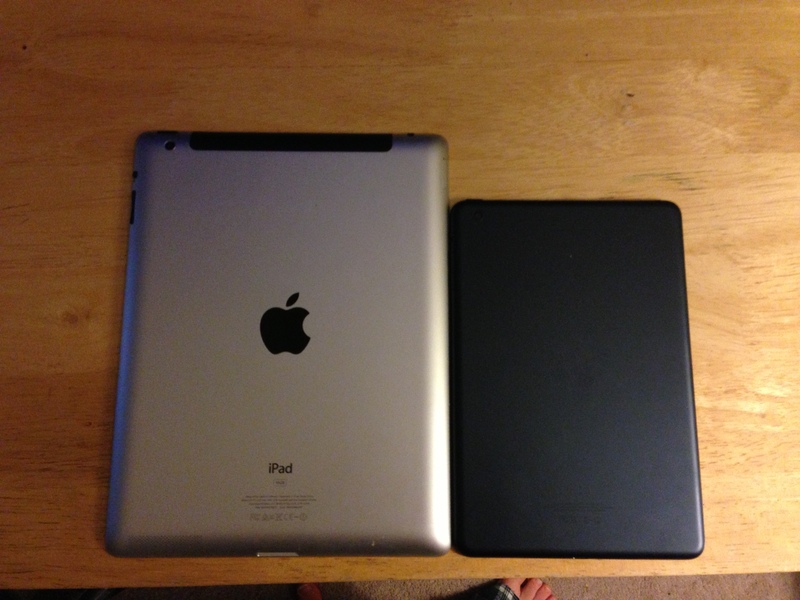 Finally, Apple will be updating it’s new full sized iPad line with a thinner design less than a year after release. 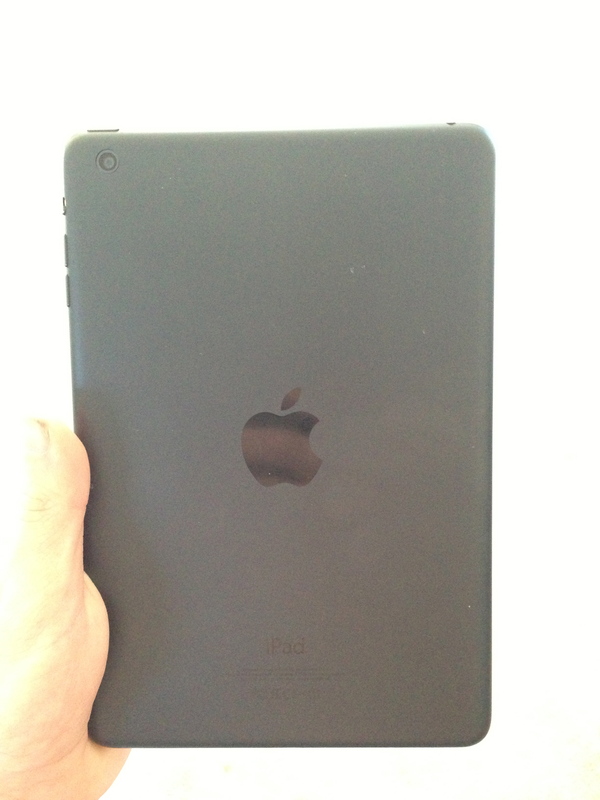 The New 4th gen iPad will be tweaked with a new back side mic and a less hot thinner design. Sharp’s rumored late IGZO displays would have made the iPad thinner and less thick and power hungry/hot. “Apple’s current plan for the fourth-generation iPad is to release another relatively modest body tweak, which would keep the shape basically the same while introducing the new small Dock Connector, a rear-side microphone, and spec-improving/heat-reducing changes to the hardware inside. The rear-side mic might aid in noise cancellation or improve audio quality during rear video recording, and is apparently just like one found on the iPhone 5, between the camera and flash; prototype iPad minis apparently have a mic on the back in the same place. 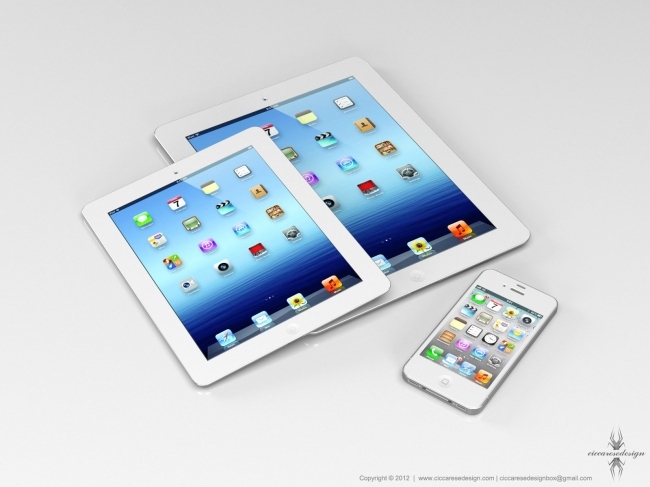 However there has always been a rumor of a New iPad being launched with the New iPhone every year and it never happens. 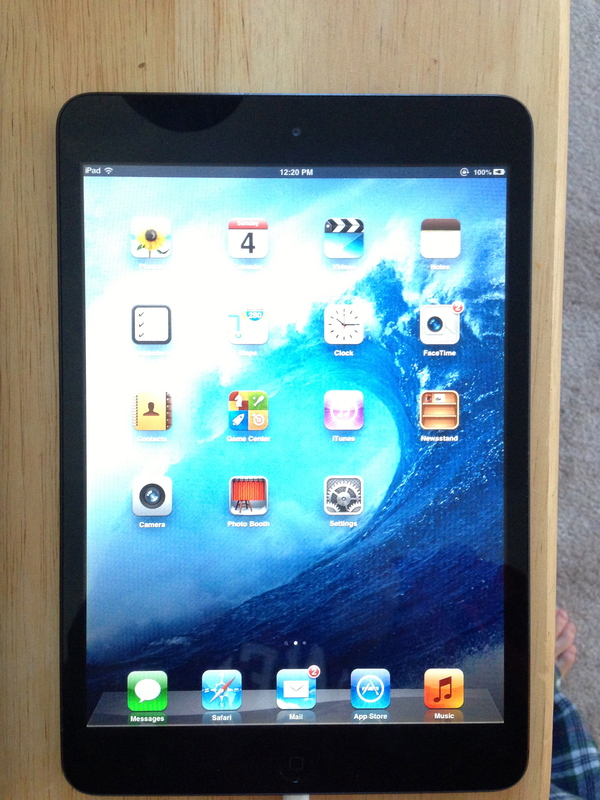 I would bet we wont see another full sized iPad until early 2013. And finally iLounge says that all of this could happen at 1 event or could be multiple events. The next iPad’s release date is a big question mark right now. As noted with the * above for the iPad mini, Apple could hold a special event just to announce the sub-8” tablet, and our source suggests that Apple might be ready to refresh the iPad at the same time. I still would like to think the next iPad will be announced early 2013 keeping Apple’s yearly schedule but who knows maybe they will surprise us.